Because many of you are EOS users, I decided to share these news with you. 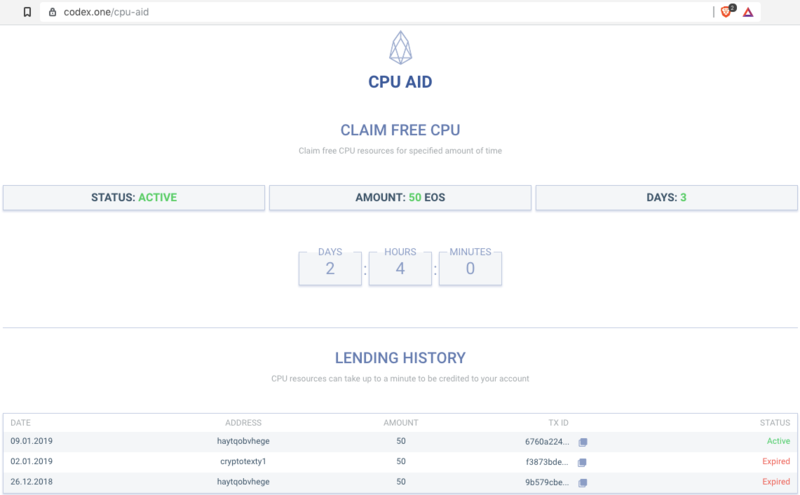 So EOS block producers Attic Lab cooperated with CODEX Exchange and created EOS CPU Aid Campaign. All the traders registered at CODEX exchange will be able to request a delegation of 50 EOS for CPU for 3 days for free. I tested it as you can see from the screenshot below. It is possible to get this CPU aid multiple times, but only 1 time for account. For example as you can see from screenshot 2 times I requested it for haytqobvhege EOS account and 1 time for cryptotexty1. Currently when I have active EOS CPU aid for haytqobvhege I can’t request it for another account, but I will be able to do it when the aid time is over. As a Block Producer, Attic Lab perceives the CPU issue and works together with different groups on finding a sustainable solution. I contacted both Attic Lab and Codex to check how long this aid will last, and they told me that it will as long as will be needed for community. 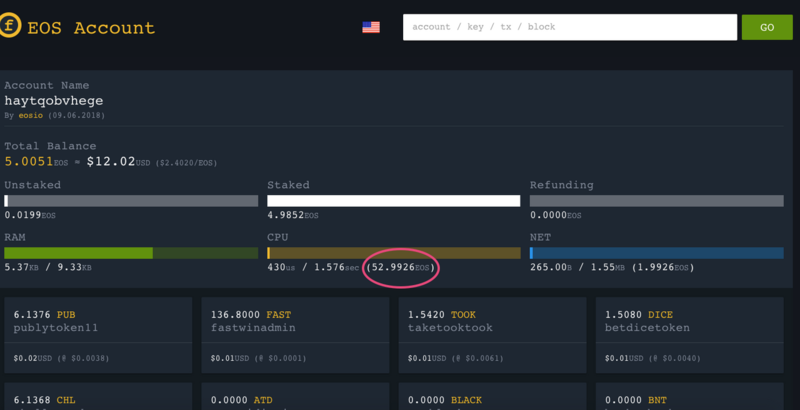 So you still have a lot of time to get this CPU EOS aid. This post has received a 20.66 % upvote from @boomerang. @flodner purchased a 59.39% vote from @promobot on this post. Good opportunity for everyone. Thanks for this post. Yea.. It's going to be interesting. For example right now on Trybe is pre-moderation of content - in some ways it's worse, but in another way - better, less content but better quality. And if your post gets approved - it gets more attention.